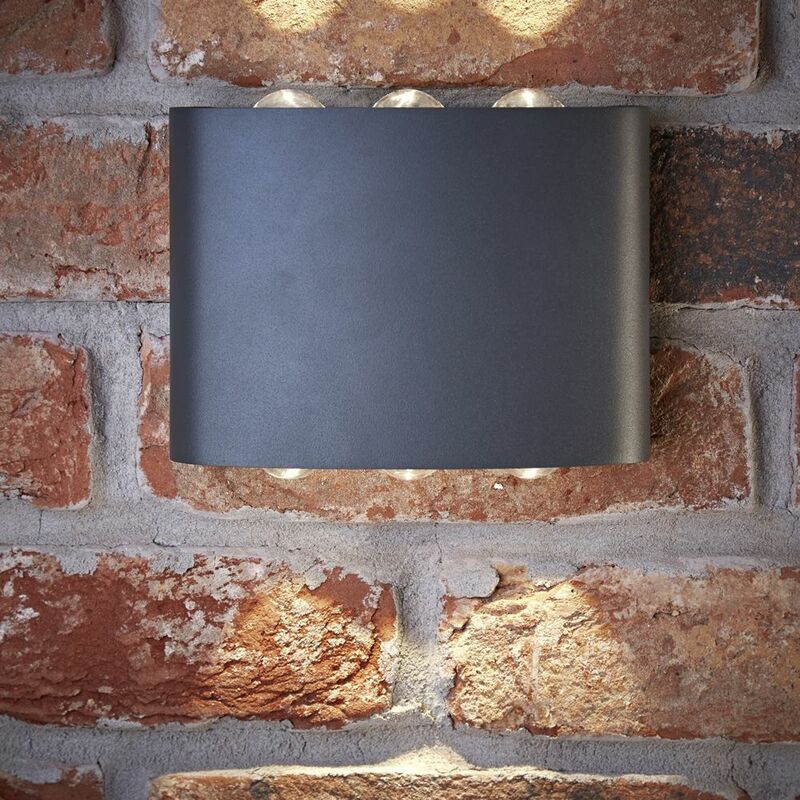 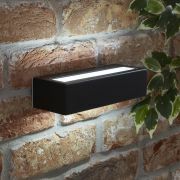 Designed to project light up and down the wall, this contemporary outdoor light provides practical and decorative lighting. 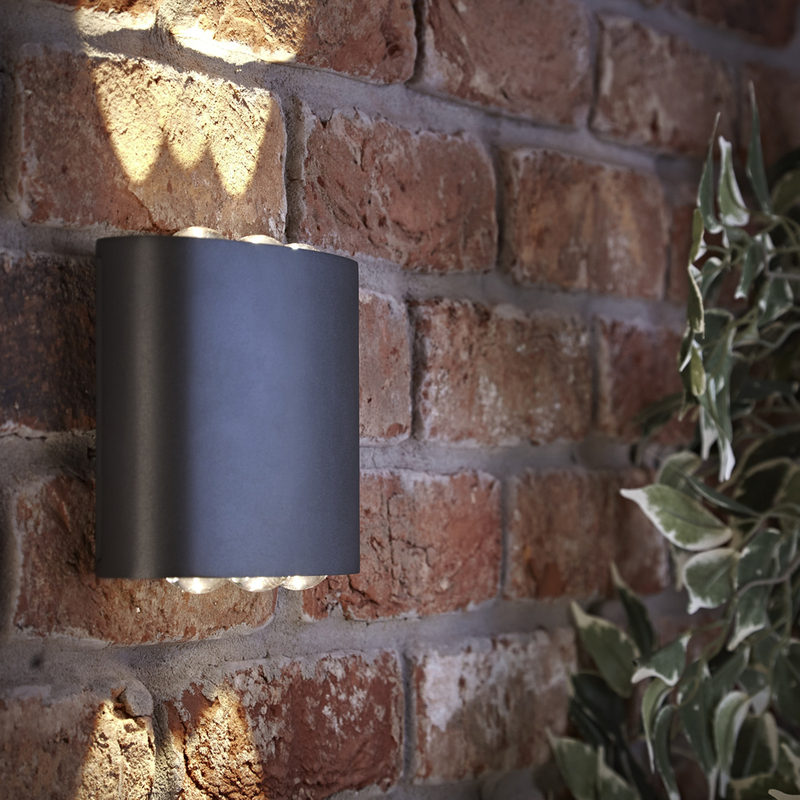 Three beams of warm white LED wash the wall with soft light to warm up your outdoor space. 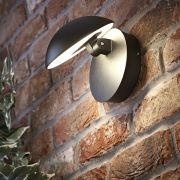 Featuring a curved aluminium body with an anthracite finish to complement modern garden furniture and accessories. 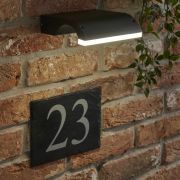 This IP54 waterproof wall light is built for outdoor use and protected from contact with water. 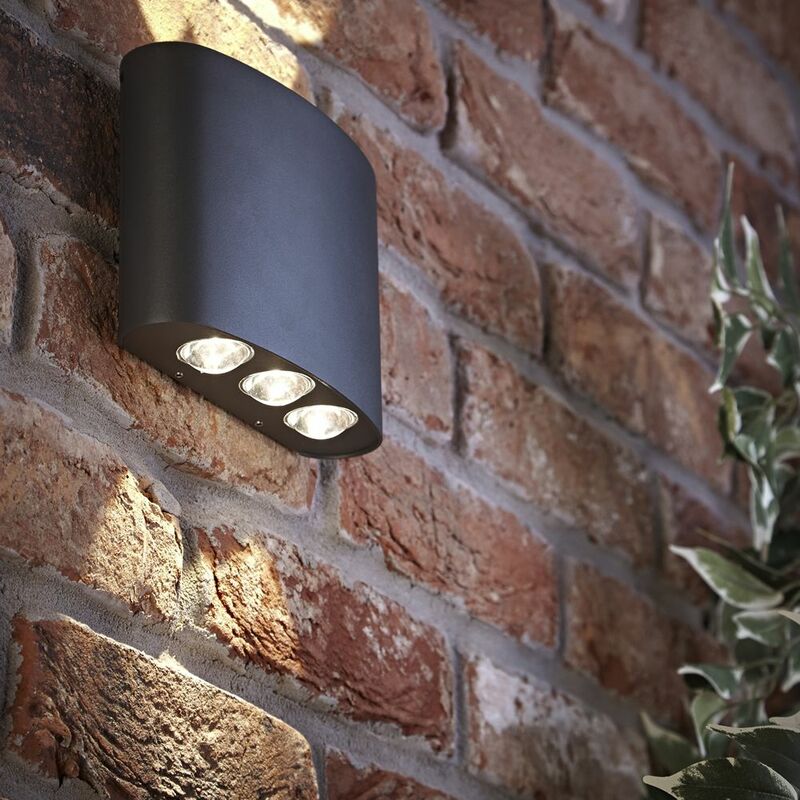 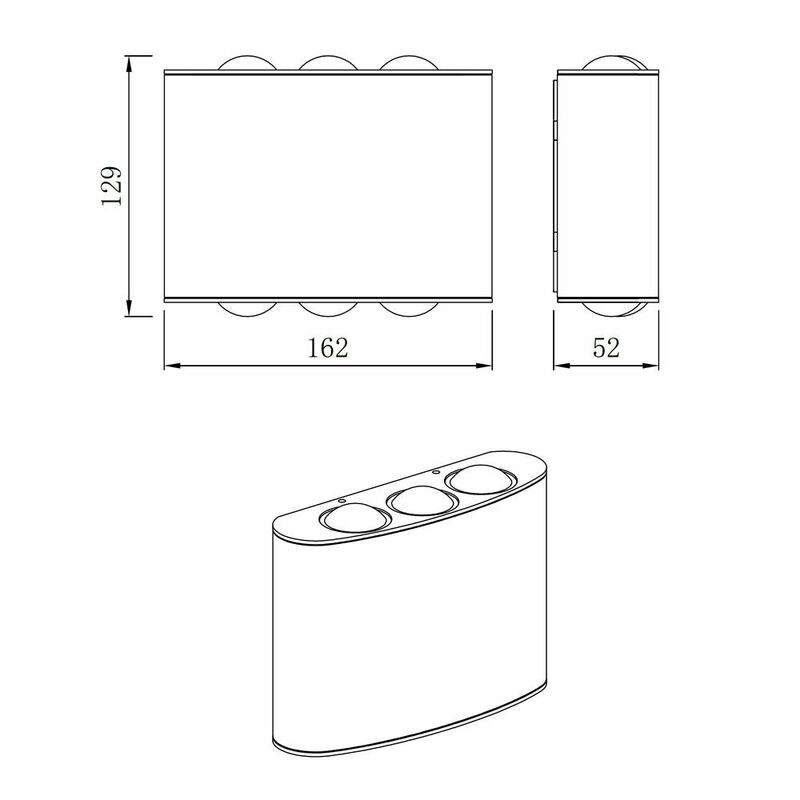 For efficient wall mounted installation, this outdoor light comes complete with a fixing kit.